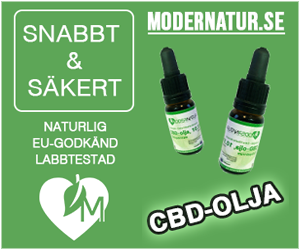 Yesterday Swedish police raided two of Sweden’s leading CBD-companies. One of them is Nordic Med Can, an company in Gothenburg which is selling CBD-oil as a diet supplementary. According to the owner, Aydin Darchini, the police confiscated their products but didn’t make any arrests. The confiscated goods is estimated to a value about one million SEK, which translates to approximately € 100 000. The producer/vendor company Scandinavian Hemp did also get raided by the cops in their office in the town of Falkoping. Their entire stock was taken since the police suspected the products were “illegal”. -Around nine o’clock this morning more than 10 policemen entered our premises in Falkoping, says Kenneth Holk from Scandinavian Hemp. They seized all of our products in order to test them to see if they contains any narcotics. I find it a bit odd that they had to take all of it instead of just samples, Kenneth continues. He estimates the value of the confiscated products to about a million SEK, which is the same amount as was taken from Nordic Med Can in Gothenburg. 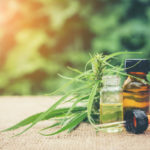 According to Swedish law you are allowed to hold so called hemp or products from it as long as the THC-content is below 0,2% and Kenneth assure us that that is the case with all of their products. -One can speculate why the police raided two companies here in the southwest region of Sweden, Kenneth continues. Maybe the regional prosecutor wants to see what comes out of it? And with a little bit of luck maybe we can go on peacefully with our business once this thing is over.